11" Snowflakes in Pearl Light Blue and Pearl Sapphire. Think of the cool Winter Wonderland decor you can make with Pearl Light Blue and Pearl Sapphire Snowflakes All-Over. Click on the image to view the item on the website. 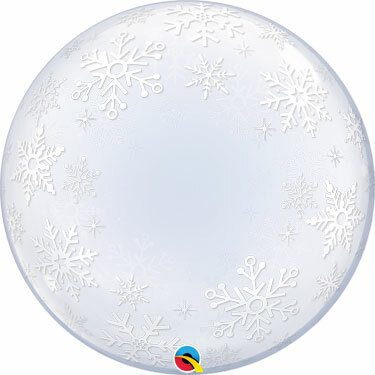 Check out the new Frosty Snowflakes 24" Deco Bubble to add to your decor. 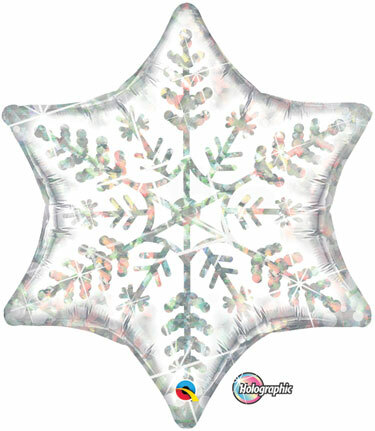 The Dazzling Snowflake is now available in 36" as well as the original 22". Great for column toppers. Rose Gold is the hottest color out there. And the "Pinky" combination is probably the most popular. But there are several pallets that work really well with Rose Gold. Everything from "Understated" to "Classy". 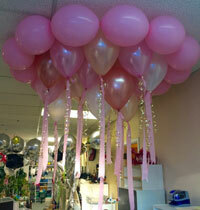 Lea Beck, CBA, The Balloon Man, Walnut Creek, CA has graciously played with the new Rose Gold color. 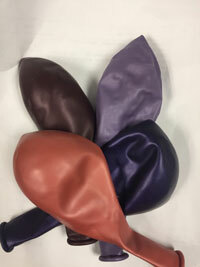 Her suggestions for several color pallets are on our site. Click here to see them. We will be closed November 10, 2017 for Veteran's Day. The hottest thing for weddings is Mr. and Mrs. It's available in both latex and foil. Click on each image to view it on the website. Betallic has 4 colors of 22" Holographic Glittering LIghtbulbs perfect for Christmas decor. Click on image to see it online. New Private Reserve. 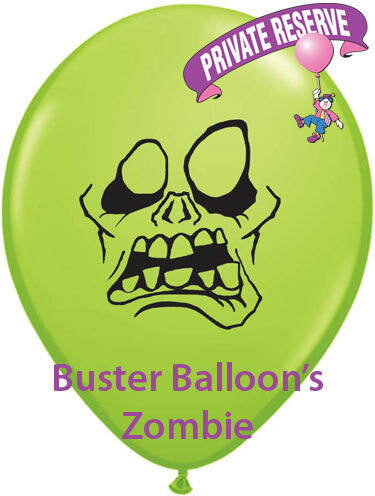 Buster Balloon's Zombie is now available in 11" Lime Green. Click on the image to see it online.